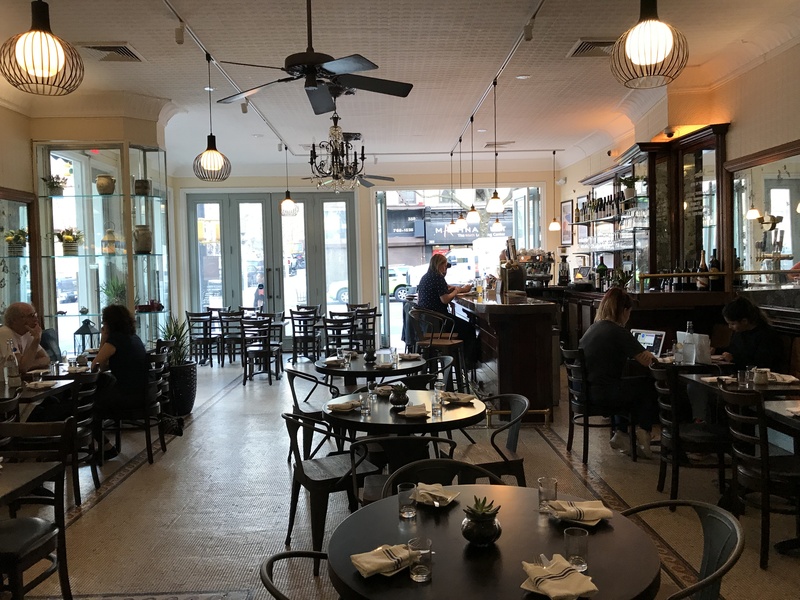 PARK SLOPE – A new French bistro opened in March on the 5th Avenue corner previously occupied by Café Wolf and two former Gallic eateries—Chagall and Belleville. 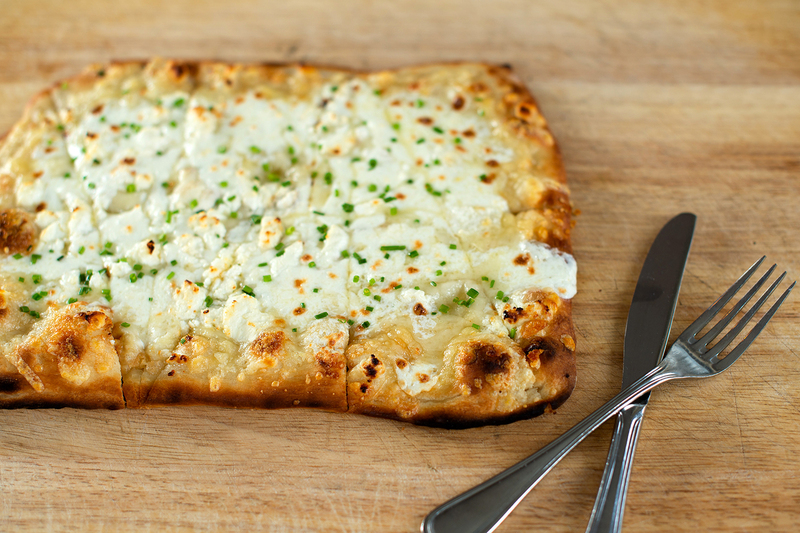 Named after the fierce wind that gusts through the south of France down to the Mediterranean, Le Mistral incorporates into its menu influences (i.e., couscous, flatbreads) from countries along its namesake’s blustery path. 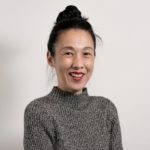 “We want to make a cuisine that is not only French, we want to be open and try new ingredients,” General Manager Edan Garcia told Bklyner. Garcia explained that Le Mistral’s owners, Sam and Berna Kaya, chose the location for their first restaurant because they love the neighborhood. “There’s a lot going on, a lot of good restaurants, a lot of great people,” he said. The couple plans to open a second eatery on 5th Avenue later this spring. “[They] thought it would be a perfect place,” Garcia continued. “There is no other French bistro here. This is a neighborhood restaurant. 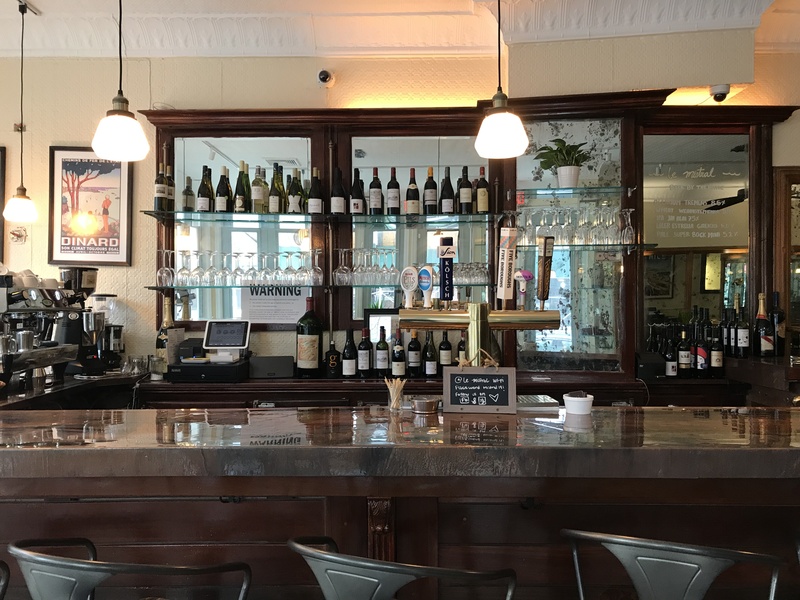 We want it to be a place where you can come for a glass of wine, grab a coffee with some pastry.” Along with in-house baked goods, Le Mistral offers selections from Pain d’Avignon and Baked in Brooklyn. A French-trained chef, Garcia has previously worked at Manhattan’s Wallsé and Le Cirque as well as Greenpoint’s Sauvage. He and Le Mistral’s chef, Bernard Wayland—who also worked at Sauvage—crafted the new eatery’s menu with bistro staples such as Mussel Mariniere, soupe a l’oignon, Niçoise salad, and escargot. 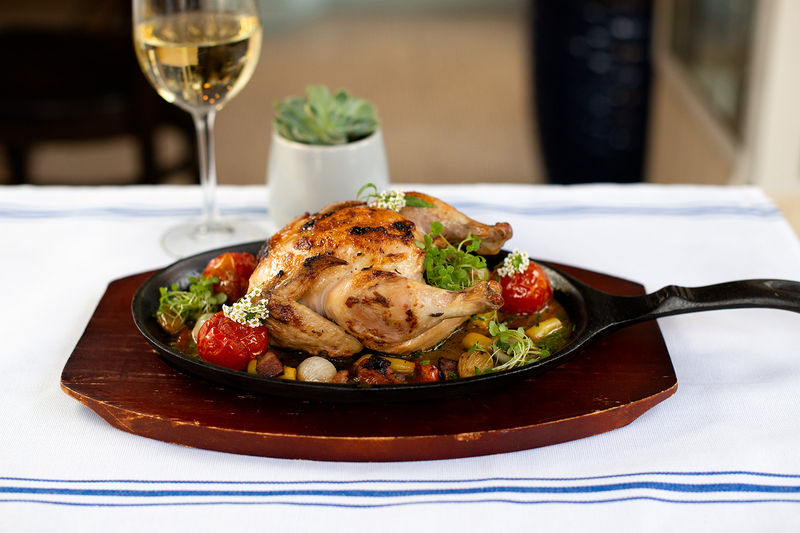 Diners’ favorites have included the herb oven-roasted Cornish hen ($24), the grilled salmon and risotto ($25), the steak au poivre ($32), and the Mistral Burger ($19), Garcia said. The dishes will be refined periodically to include fresh ingredients from each season. “My wine program is very solid,” Garcia noted. “We have wine from France, Portugal, and a huge selection of rosés…. 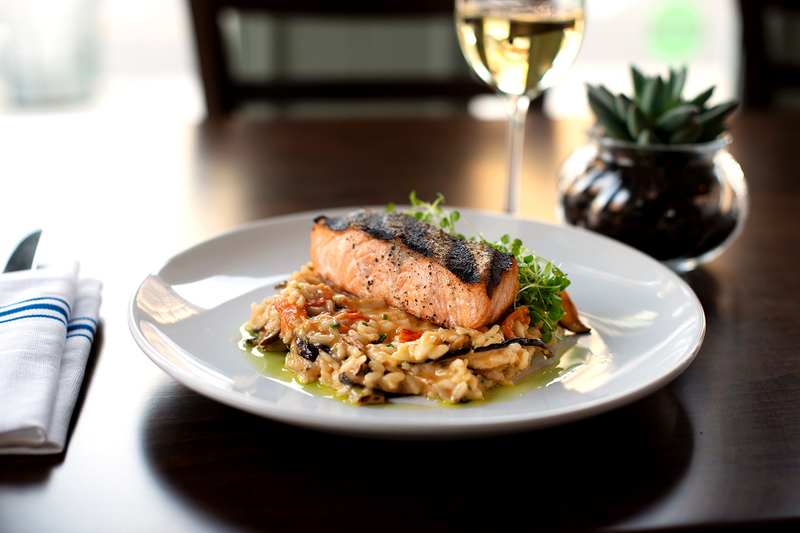 We try to cover all of the Mediterranean.” The list also includes a variety of organic wines. Le Mistral serves wine and beer only. 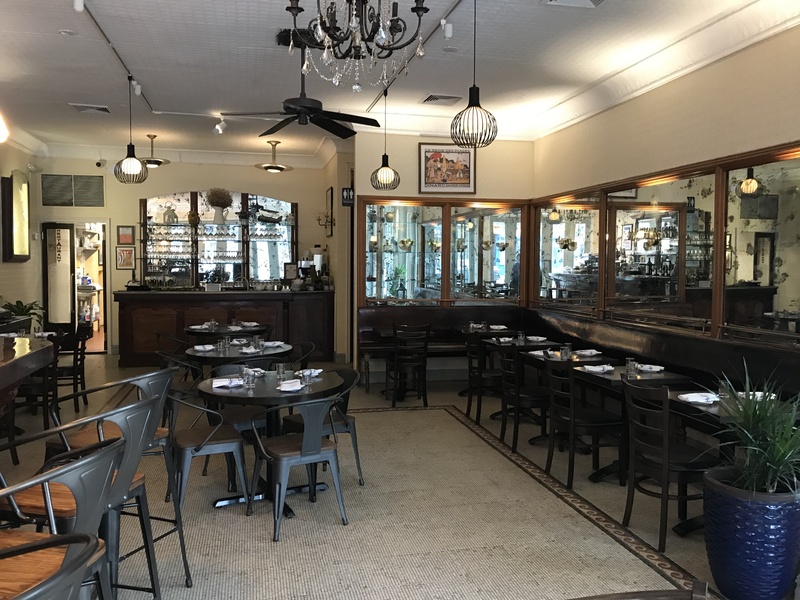 The charming and airy space was designed to reflect a classic French bistro, “rustic but a little more modern,” according to Garcia, with vintage mirrors and benches imported from Paris. A cozy room behind the kitchen is available to rent for private parties accommodating up to 50 guests. The team is currently putting finishing touches on the outdoor space which will feature five tables along 5th Street—perfect for brunch on summer weekends. On Saturday evenings from 7pm to 9pm, Le Mistral presents live bossa nova/jazz. “We have a full house every Saturday night,” Garcia said. “We’re very happy to be in the neighborhood and the people coming here are lovely,” he added. Check out Le Mistral’s Facebook and Instagram pages for more information and to see their happy hour specials.